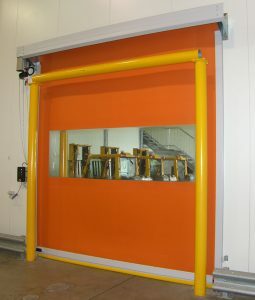 The Australian designed and manufactured RAPIDMAX® Plus high speed door is a tough workhorse providing solid steel frame construction coupled with high speed – whisper quiet operation and efficient perimeter sealing to reduce energy consumption and improve environmental control. 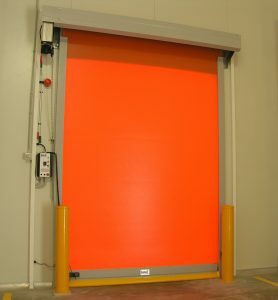 The Australian designed and manufactured RAPIDMAX® eco high speed door is a tough workhorse providing solid steel frame construction coupled with high speed – whisper quiet operation and efficient perimeter sealing to reduce energy consumption and improve environmental control. 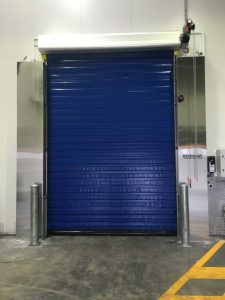 The Australian designed and manufactured RAPIDMAX® iso high speed door is a tough workhorse designed for FREEZER Applications, fitted with a complete door frame heating system and excellent perimeter sealing to reduce energy consumption and improve environmental control. 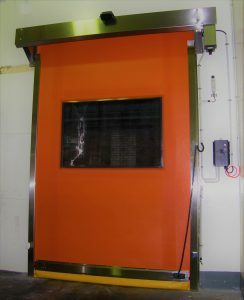 The Australian designed and manufactured RAPIDMAX®SS high speed door is a tough workhorse providing stainless steel frame construction coupled with high speed – whisper quiet operation and efficient perimeter sealing to reduce energy consumption and improve environmental control.